﻿ MCN Fleet: Has my Suzuki GSX-R1000R got better with age? With over 11,000-hard miles under its belt it’s fair to say my Suzuki is well and truly run-in. 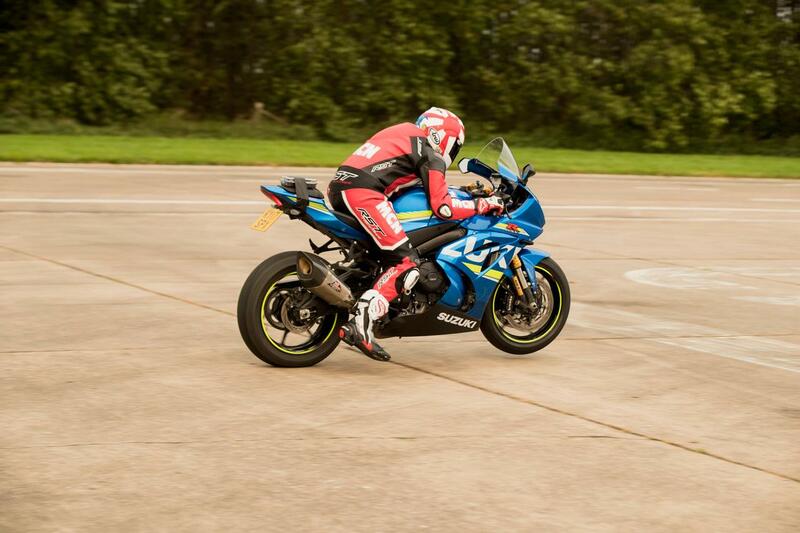 To see if it’s any faster with age and if the extra 7bhp from the race can makes a difference, I took it to Bruntingthorpe together with a freshly run-in GSX-R1000R and got MCN datalog guru Bruce Dunn to fire them down the runway. With 0-60mph in 3.11 seconds, 100mph in 5.57 and 150mph in 10.43, my bike is just a few tenths faster and hitting 180.63mph in a kilometre (road works on the test strip!) it’s 1.5mph quicker. But even with gripper tyres, braking to zero from 70mph takes 53.79 meters, half a meter longer than the newer bike, which could be down to more worn pads. My GSX-R1000R performs just the same as a showroom-fresh model, which just goes to show how well put together the quality motor is put together at the factory. MCN Fleet: What's Suzuki's GSX-R1000R like on tour?